Have a day of magic on the 24th (Fri) at Walt Disney World Resort. Pack the 26th (Sun) with family-friendly diversions at Universal's Islands of Adventure. There's lots more to do: find something for the whole family at Universal Orlando Resort, try out the rides at Happily Ever After Fireworks, stop by MacroBaby, and discover the magic at Magic Kingdom Park. To find traveler tips, more things to do, maps, and more tourist information, refer to the Orlando online day trip planner . Melbourne, Australia to Orlando is an approximately 26-hour flight. You can also do a combination of train and flight. The time zone difference when traveling from Melbourne to Orlando is minus 15 hours. Plan for a bit warmer temperatures traveling from Melbourne in April, with highs in Orlando at 34°C and lows at 21°C. Wrap up your sightseeing on the 28th (Tue) early enough to travel to Washington DC. Washington DC is known for museums, historic sites, nightlife, zoos & aquariums, and parks. Your plan includes some of its best attractions: explore the world behind art at National Gallery of Art, get a new perspective on nature at Smithsonian National Museum of Natural History, see the interesting displays at National Air and Space Museum, and ponder the world of politics at White House. To see maps, photos, and tourist information, refer to the Washington DC trip itinerary builder . Traveling by flight from Orlando to Washington DC takes 4.5 hours. Alternatively, you can do a combination of flight and train; or drive. In April, Washington DC is little chillier than Orlando - with highs of 23°C and lows of 11°C. Wrap up your sightseeing on the 1st (Fri) early enough to travel to New York City. New York City is known for museums, nightlife, shopping, historic sites, and parks. Your plan includes some of its best attractions: go for a walk through Central Park, admire the striking features of Grand Central Terminal, take in panoramic vistas at Empire State Building, and explore the world behind art at The Metropolitan Museum of Art. To see maps, photos, traveler tips, and more tourist information, you can read our New York City attractions website . Fly from Washington DC to New York City in 3.5 hours. Alternatively, you can take a train; or drive. Expect a bit cooler weather when traveling from Washington DC in May: highs in New York City hover around 24°C, while lows dip to 15°C. Finish up your sightseeing early on the 6th (Wed) so you can travel to Niagara Falls. On the 6th (Wed), take in panoramic vistas at Niagara Falls Observation Tower and then try your luck at Seneca Niagara Casino. Get ready for a full day of sightseeing on the next day: contemplate the long history of Frank Lloyd Wright's Darwin D. Martin House Complex, take in the architecture and atmosphere at St. Mary of the Cataract R. C. Parish, then admire nature's wide array of creatures at Aquarium of Niagara, and finally admire the sheer force of Niagara Falls. For reviews, other places to visit, and more tourist information, read Niagara Falls travel route planner . Traveling by combination of flight and bus from New York City to Niagara Falls takes 5.5 hours. Alternatively, you can do a combination of bus and flight; or drive. Traveling from New York City in May, Niagara Falls is a bit cooler at night with lows of 11°C. Finish your sightseeing early on the 7th (Thu) to allow enough time to travel to Yosemite National Park. Start off your visit on the 8th (Fri): take in the dramatic scenery at Bridalveil Fall. Keep things going the next day: explore the striking landscape at Glacier Point, take in the dramatic natural features at Sentinel Dome, then take in the dramatic scenery at Vernal Fall, and finally admire the sheer force of Yosemite Falls. To find traveler tips, more things to do, where to stay, and more tourist information, read Yosemite National Park online road trip planner . Do a combination of flight and car from Niagara Falls to Yosemite National Park in 12.5 hours. Alternatively, you can do a combination of train, flight, and car; or do a combination of flight, bus, and taxi. Traveling from Niagara Falls to Yosemite National Park, you'll gain 3 hours due to the time zone difference. Expect little chillier temperatures when traveling from Niagara Falls in May; daily highs in Yosemite National Park reach 21°C and lows reach 1°C. Cap off your sightseeing on the 10th (Sun) early enough to go by car to San Francisco. San Francisco is known for nature, museums, nightlife, shopping, and childrens museums. Your plan includes some of its best attractions: take in the views from Golden Gate Bridge, admire the natural beauty at Japanese Tea Garden, browse the eclectic array of goods at Ferry Plaza Farmers Market, and take in the awesome beauty at Twin Peaks. For other places to visit, more things to do, maps, and more tourist information, refer to the San Francisco trip itinerary builder tool . You can drive from Yosemite National Park to San Francisco in 4 hours. Other options are to do a combination of car and flight; or do a combination of bus and flight. Traveling from Yosemite National Park in May, plan for a bit warmer nights in San Francisco, with lows around 13°C. Wrap up your sightseeing on the 13th (Wed) early enough to travel to Los Angeles. 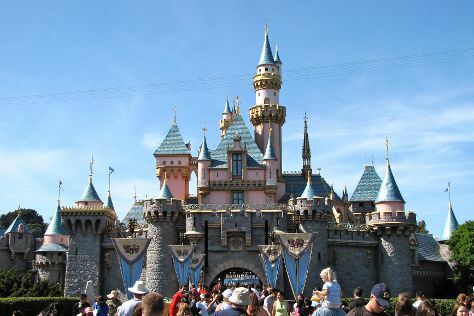 On the 13th (Wed), find something for the whole family at Disneyland Park. Here are some ideas for day two: take a leisurely stroll along Santa Monica Pier, examine the collection at The Getty Center, then don't miss a visit to Hollywood Walk of Fame, and finally see the sky in a new way at Griffith Observatory. To see other places to visit, ratings, more things to do, and tourist information, read Los Angeles trip planner. Getting from San Francisco to Los Angeles by flight takes about 4 hours. Other options: do a combination of train and flight; or drive. Traveling from San Francisco in May, things will get somewhat warmer in Los Angeles: highs are around 28°C and lows about 17°C. Wrap up your sightseeing on the 15th (Fri) to allow time to travel to Las Vegas. Go for a jaunt from Las Vegas to Boulder City to see Hoover Dam about 50 minutes away. There's lots more to do: explore the striking landscape at Red Rock Canyon National Conservation Area, ponder the design of Bellagio Fountains, try to win big at Bellagio Hotel and Casino, and see the interesting displays at The Mob Museum. Getting from Los Angeles to Las Vegas by flight takes about 4 hours. Other options: drive; or take a bus. While traveling from Los Angeles, expect a bit warmer days and about the same nights in Las Vegas, ranging from highs of 36°C to lows of 20°C. Finish your sightseeing early on the 20th (Wed) to allow enough time to travel to Honolulu. On the 21st (Thu), contemplate the waterfront views at Hanauma Bay Nature Preserve, go for a walk through Diamond Head State Monument, then stroll the grounds of USS Arizona Memorial, and finally appreciate the history behind Queen Liliuokalani Statue. Here are some ideas for day two: stroll through Manoa Falls and then kick back and relax at Waikiki Beach. To find traveler tips, other places to visit, and other tourist information, use the Honolulu trip itinerary builder . You can fly from Las Vegas to Honolulu in 9 hours. Traveling from Las Vegas to Honolulu, you'll gain 2 hours due to the time zone difference. Plan for a bit warmer nights when traveling from Las Vegas in May since evenings lows in Honolulu dip to 25°C. Wrap up your sightseeing by early afternoon on the 23rd (Sat) to allow enough time to travel back home.